After having eaten my way through so many scones in Singapore, I think it is fitting that I should perhaps do a compilation of all the places I have been to have scones in Singapore. Click on the links for an in-depth review the respective cafes/restaurants. I shall rate only the top 5 scones places. 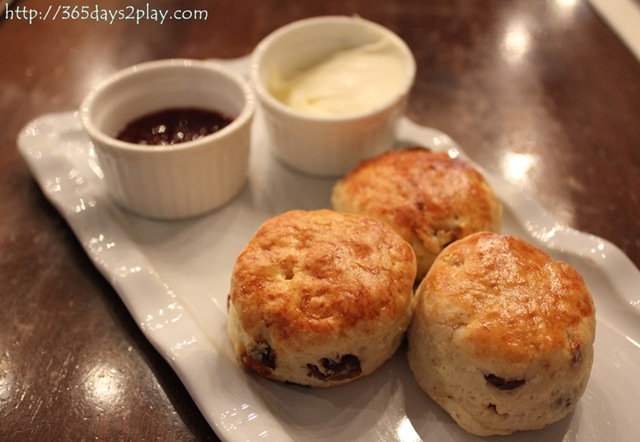 Okay, where to find the best scones in Singapore…..drum roll please! The BEST scones in Singapore award goes to….. Fullerton Hotel The Courtyard !!!! Regent Hotel’s scones are also damn good. The best part about Fullerton Hotel and Regent Hotel’s scones is that not only are the scones good in their own right, they also provide clotted cream! You’re missing out if you haven’t tried scones with clotted cream! 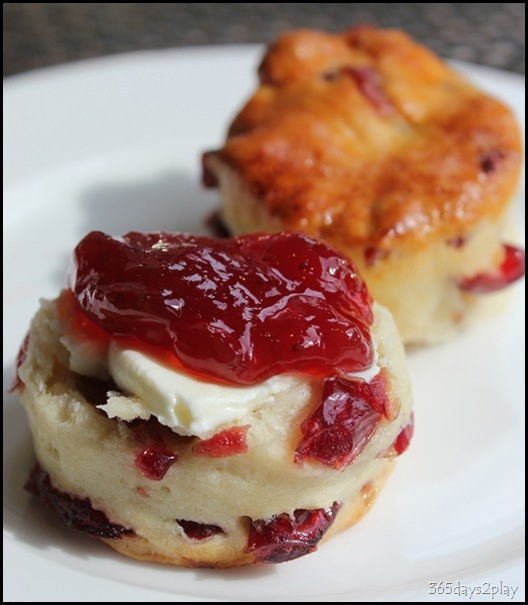 The “Not the Best but still Quite Good” scones…. Brilliant post! Forget the diet….I gotto have a go at those Fullerton Hotel scones…the portions of cream and jam looks so generous! Thanks! Diet? What diet????? Hahaha do go and post about it! have you tried royal copenhagen, fosters & cedele’s scones? how do they compare to the ones you mentioned? Thanks! I keep wanting to try Cedele but no chance! Thanks for the compliments about my blog! 🙂 🙂 Glad to know you are enjoying the food in Singapore. Where are you from?